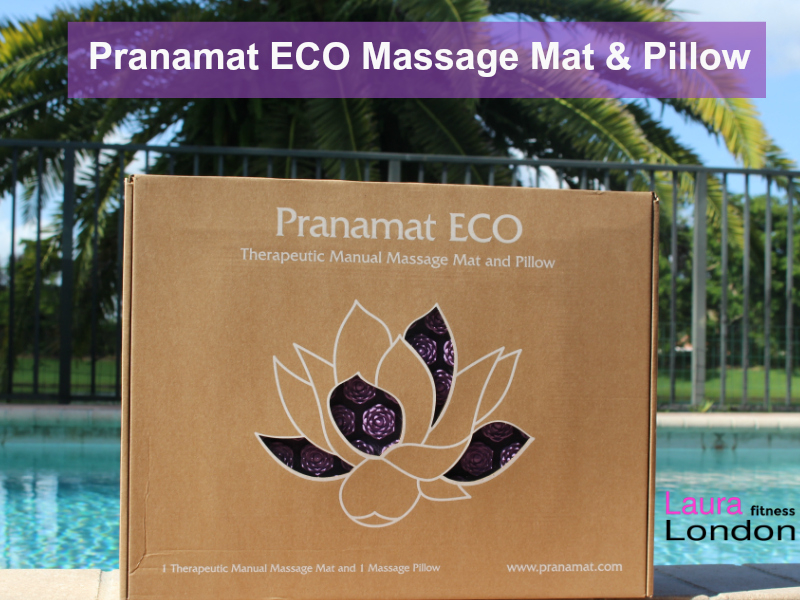 Today I am sharing with you my review of the Pranamat Eco Massage Mat and Pillow. I love getting massages and get them regularly. There are much health benefits to a therapeutic massage. Life gets busy and we can’t always go for a professional massage. The Pranamat is the answer. 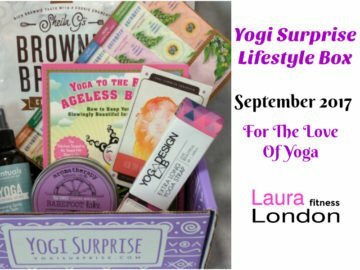 You can use it at home, in bed, outside, or even take it to a yoga studio. It travels well in your suitcase. Pranamat ECO features dozens of cute lotus-shaped massage stimulators that put gentle pressure on your problem areas to relieve minor aches and pains. 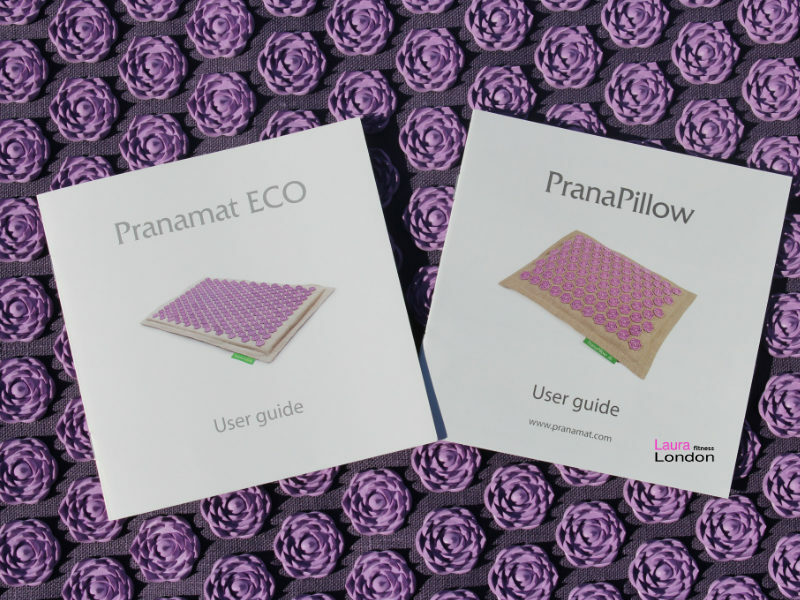 Each set is made with high-quality, earth-friendly, hypoallergenic materials, making Pranamat ECO ideal for those with chemical sensitivities and allergies. Made with a 100% linen cover, 100% un-dyed cotton and filled with 100% coconut fiber. Doing a lot of weight training and yoga the Pranamat has been a blessing. 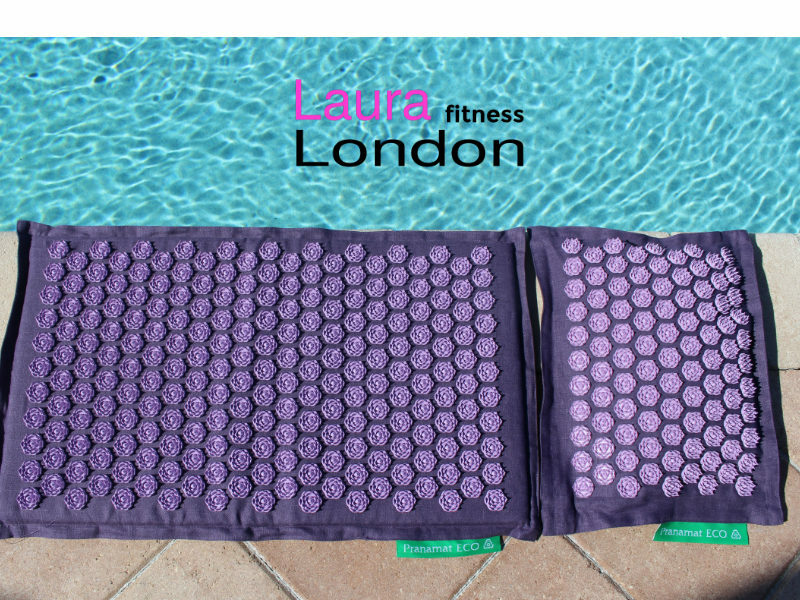 It is great to help relieve my muscle soreness. I lie on it for 15-20 minutes at a time. 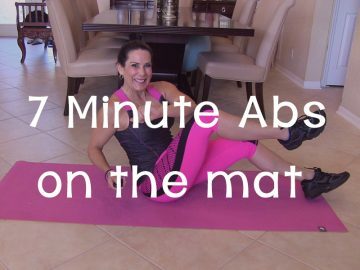 When I first got the mat it took a little getting used to. The lotus flowers feel prickly on the skin. Once you get used to the feeling it is amazing. It feels like thousands of tiny fingers are massaging your body. 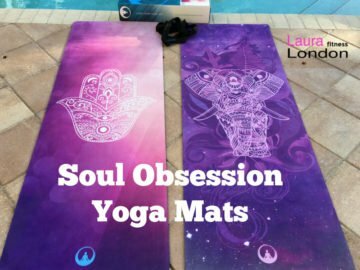 If you have sensitive skin or are just starting out I suggest putting a thin towel, like a yoga towel down until you get used to the lotus petals. Do you have a Pranamat? How do you use it? Leave me a comment I love hearing from you.